Yemen’s Houthi militia and Saudi forces traded heavy artillery and rocket fire in border areas on Monday, residents said, a day before a five-day humanitarian truce was due to take effect. The Houthis said they fired Katyusha rockets and mortars on the Saudi cities of Jizan and Najran on Monday, after the Saudis hit Saada and Hajjah provinces with more than 150 rockets. Saudi planes also struck positions of the Iranian-allied Houthi group in the central city of Taiz and in the oil-producing Marib province east of the capital Sanaa. 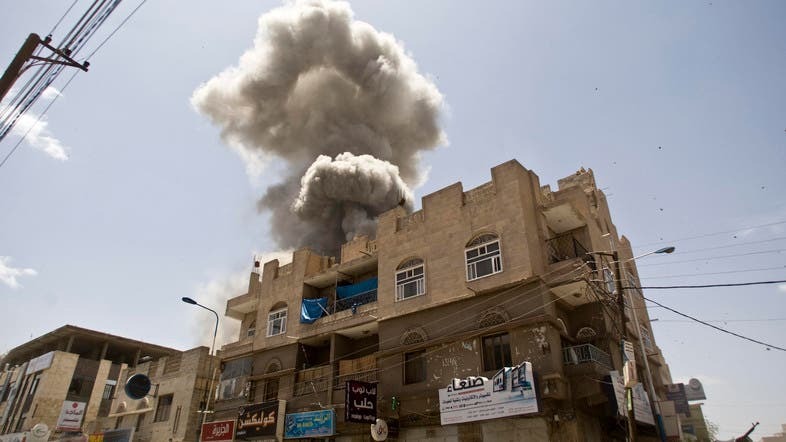 More than six weeks of air strikes by Sunni Muslim Gulf monarchies' jets have failed to push back the Shiite Houthis and militia and army units loyal to the Houthis’ ally, ex-president Ali Abdullah Saleh. The rebels, whose ties to regional rival Iran has rattled the Gulf Arabs, remain the dominant political force in the impoverished Arab country that borders Saudi Arabia, the world’s top oil exporter. Saudi Arabia has offered a five-day ceasefire starting on Tuesday evening to allow delivery of humanitarian supplies into the country, but warned that the truce depended on the Houthis abiding by that deal. A group of 17 international aid agencies said on Sunday that five days was not sufficient to provide relief to the country, which after weeks of an air and sea blockade is suffering severe food and medicine shortages.